Your search for roofing companies in Alliston, ON stops with us. Experience You Can Trust. We are fully insured with the WSIB, accredited by the Better Business Bureau, and have over 50 years of experience in the roofing business. Not many other roofing companies can say that! We Focus on One Job at a Time. 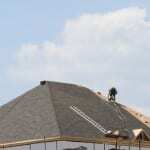 During your roofing installation, we give you our full attention. That means you won’t have to worry about us taking calls from other jobs while we are at your home or business. You are our most valuable customer. Interviews and Property Surveys. We don’t know about other roofing companies, but we think it’s important to fully survey your property and take time to discuss what your roofing needs are. Talking with you one-on-one helps us give you the best experience possible. Using High-Quality Materials. We know you want a functional, durable roof. We use high-quality materials that will prevent you from needing roofing repairs too soon. This lasting protection will give you peace of mind. If you are tired of searching through various roofing companies looking for one that will meet your needs, don’t search anymore. Call us today for more information about our roofing services. We look forward to talking with you!